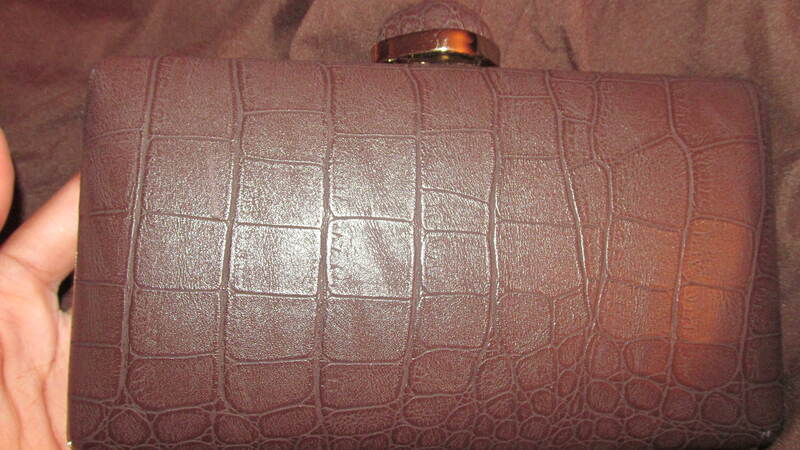 This post features a beautiful, chocolate brown clutch that I bought at Marshalls for $ 19.99 [originally $ 35]. It’s a hard-body clutch with a top oddly-shaped clasp [not quite a diamond or square, but also not circular]. 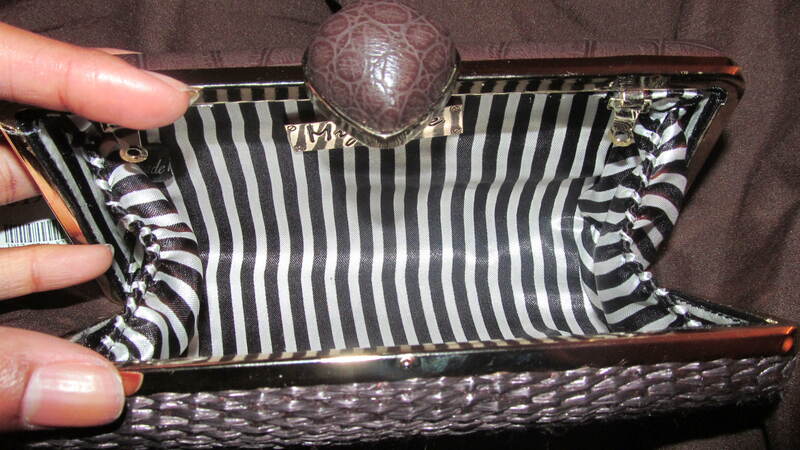 One side of the purse is faux leather animal print, and the other side of it is a woven fabric. 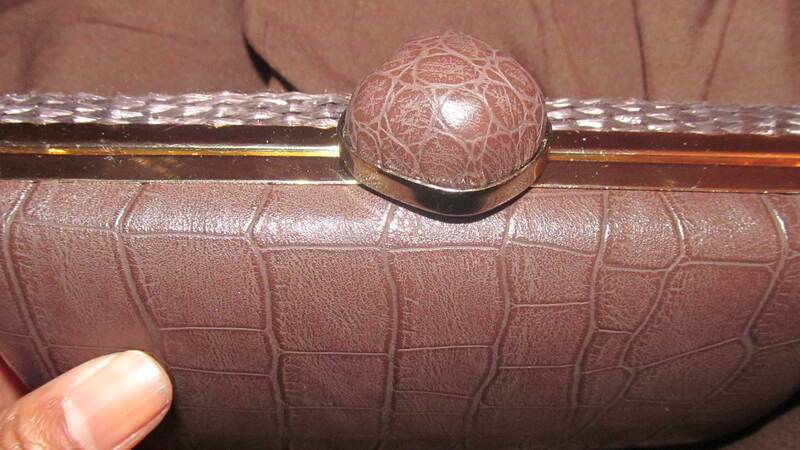 The two different textures on the purse not only look cool, but also give this clutch so much character [especially for something so small]. 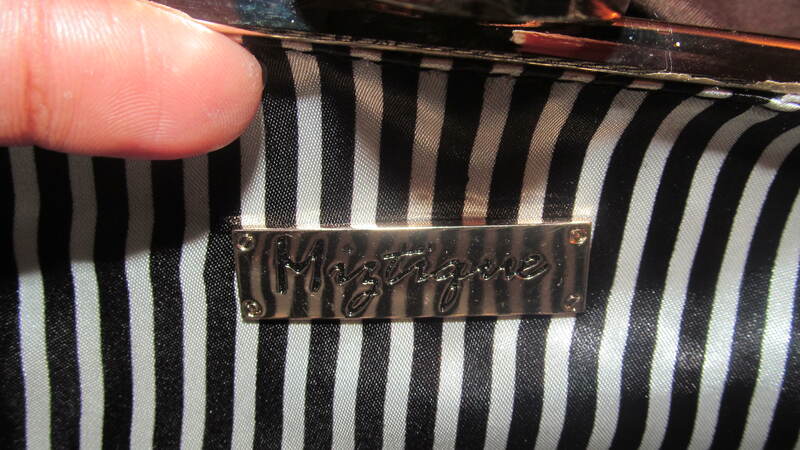 The inside of the purse is lined with a silky black and white striped fabric, with a metal name plate featuring the brand name ‘Miztique’. 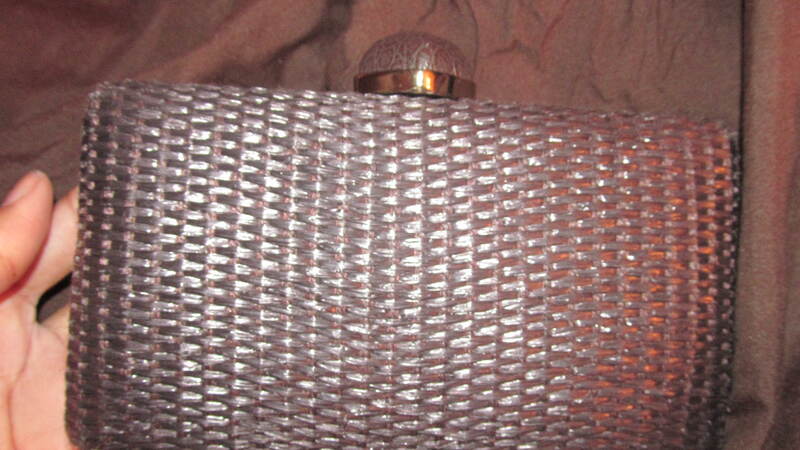 Feel free to leave me your feedback, what do you think about this clutch? Love it or hate it? 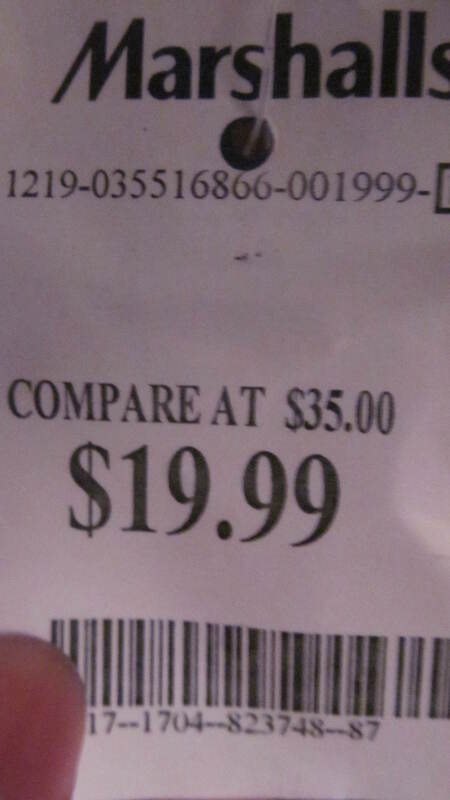 Is there anything you would change about it?